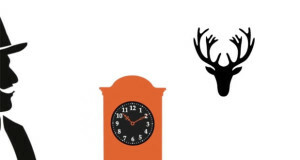 There are a lot of ingredients that need to come together to make a great Agatha Christie styled murder mystery. You have to get the little idiosyncrasies of the detective just right. You need a cast of characters including a retired war veteran, a local busybody and a wealthy dowager no one likes. Lastly, you need a good hook for the murder itself and on that front, Sophie Hannah is an absolutely superb ideas-woman. In her debut Hercule Poirot novel The Monogram Murders, three bodies are discovered in a hotel, each with a cuff link in their mouth, apparently murdered at the same time. In Closed Casket an ageing heiress declares to her family that she is taking them out of her will and giving everything to a terminally ill man. And now with The Mystery of Three Quarters, our favourite Belgian detective discovers that someone has sent four letters in his name, accusing total strangers of the murder of an old man who was thought to have drowned in his bath tub. 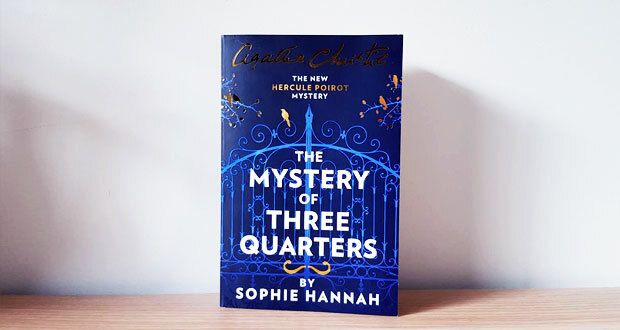 With this third Hercule Poirot novel, I feel Sophie Hannah is really coming into her own as the successor to Agatha Christie. I think she has a really flair for capturing the essence of a good Poirot novel. 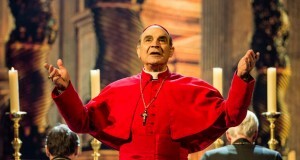 She has a way with describing the Belgian detective with the egg-shaped head that feels authentic with the character that Christie brought to life and is so vividly ingrained in the minds of fans with David Suchet’s performance over the last three decades. The mannerisms, the little quips, the obsessive-compulsive behaviour. She gets it all just so. I’m not sure if Hannah is writing these novels on a per-book arrangement or if a certain number has been agreed upon but if it is the latter, I like that Hannah has begun to tinker with the standard Poirot formula in the way that Christie did. 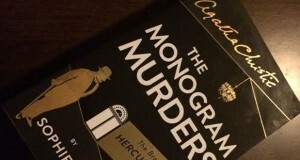 Christie established the basic murder mystery formula in the original handful of Poirot books but then she really began to mess with readers expectations as some of her novels ended with twists including Everyone was involved, It wasn’t actually a murder, The police officer did it, The narrator did it and of course, Poirot himself did it. With The Mystery of Three Quarters, one of the biggest uncertainties facing Poirot and the reader is if Barnabas Pandy was even murdered or if the old man simply drowned in the bath tub accidentally. I hope in future books, Hannah is given full license to continue messing with the format Christie fans are used to. Another small detail I liked about The Mystery of Three Quarters is regarding DC Edward Catchpool. Sophie Hannah has so far neglected to use most of the supporting cast of characters from Christie’s Poirot stories including the much loved Captain Hastings, Chief Inspector Japp, Miss Lemon and Ariadne Oliver. She has only kept on the butler George and instead, created her own sidekick for Poirot – police officer Edward Catchpool. Like Hastings, Catchpool’s main function is to be the jobsworth that follows all the red herrings and gives Poirot a sounding board to theorise who actually committed the crime. In the first two novels, I found Catchpool to be a little bland and I missed the presence of Japp and Hastings. But with The Mystery of Three Quarters, Hannah has begun to develop more of a personality with Catchpool (he starts this story away on holidays with his mum who is trying to set him up on a date with someone she hopes is marriage material) and I think he’s really started to come into his own. In short, it’s another winner from Hannah. I’m delighted that she’s had this opportunity to continue the Hercule Poirot series. She’s a fabulous writer and I hope she maintains this current output of new material.